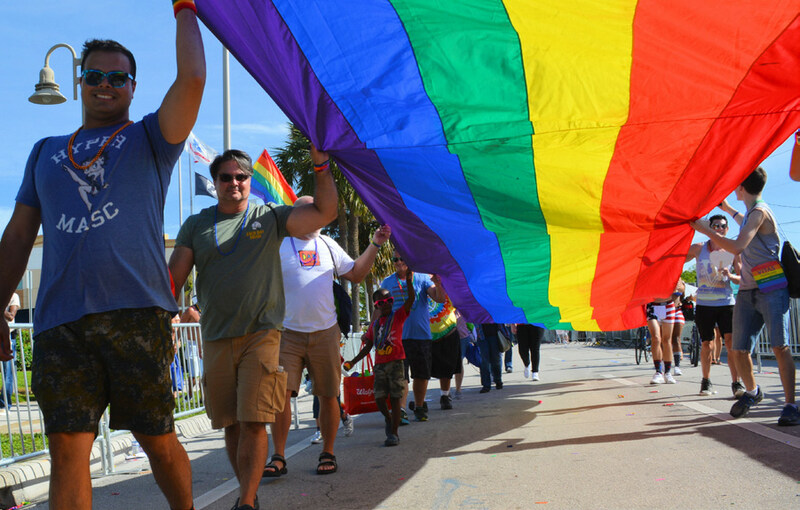 More than 120,000 visitors from the U.S. and beyond are expected at the 42nd annual Pride Fort Lauderdale festival, Thursday, Feb. 21 through Sunday, Feb. 24 in Greater Fort Lauderdale. The carnaval-themed festival will include the first parade ever held along iconic Fort Lauderdale Beach on Saturday, Feb. 23. One of the grand marshals will be Miss Major Griffin-Gracy, a transgender activist who was in the Stonewall Inn in Greenwich Village during the historic 1969 police raid that sparked the modern LGBT+ rights movement. “American Idol” fan favorite Ada Vox, who also made history as the first drag queen to advance to the final 10 contestants, and singer, choreographer and “RuPaul’s Drag Race” judge Todrick Hall will headline the festival on Sunday, Feb. 24. “Diversity is in Greater Fort Lauderdale’s DNA; it’s who we are. I’m so proud that Pride Fort Lauderdale’s colorful theme represents how diverse our destination is, and demonstrates to the world how welcoming and inclusive we are,” said Richard Gray, Vice President of Diversity and Inclusion of the Greater Fort Lauderdale Convention & Visitors Bureau. The sights and sounds of the Caribbean and Brazil will come alive throughout the festival. The 2019 Carnaval theme pays tribute to the diverse ethnic communities that call Greater Fort Lauderdale home and to the Mardi Gras/Carnaval season. “This year’s Pride Fort Lauderdale is a nod to how inclusive Greater Fort Lauderdale is and we are excited to see everyone come together at this historic gathering, as we throw the first parade ever on Fort Lauderdale Beach,” said Miik Martorell, President of Pride Fort Lauderdale. Admission is FREE for Fort Lauderdale Beach main events on Saturday, Feb. 23 and Sunday, Feb. 24. All proceeds will go toward funding LGBT+ youth scholarships and local community organizers.